Forces loyal to Libyan strongman Khalifa Haftar on Thursday encircled Tripoli in a long-anticipated push to take the capital and wrest power away from the Western-backed government. Brigades loyal to Haftar approached the city from the south and west, but were pushed back from the town of Zawiya. “If you look at the last 24 hours, they've been ugly as far as his performance,” Libya expert Jalel Harchaoui told RFI, analysing Haftar's offensive. The Libyan field marshal announced that “the time has come” to take Tripoli in an audio message on Thursday setting the scene for a showdown with the unity government led by Fayez al-Sarraj. 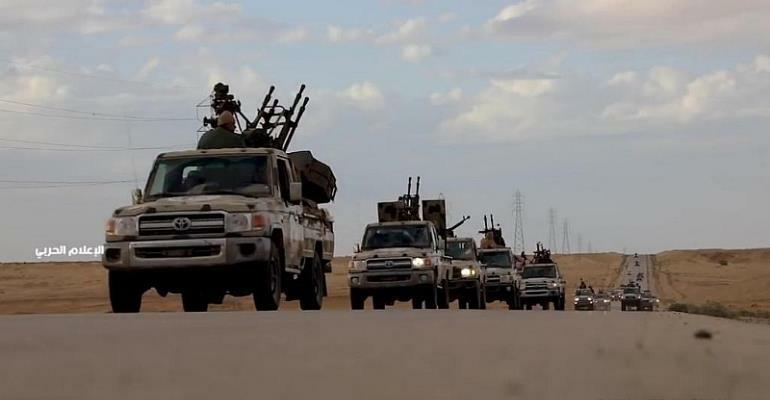 Fighters from Haftar's self-proclaimed Libyan National Army (LNA) reached a checkpoint some 30 kilometres from Tripoli, however a pro-government militia pushed them back, AFP reported. The Tripoli attack followed an offensive in the south-west Fezzan region in January extending territory under the control of the LNA. UN Secretary General Antonio Guterres urged “calm and restraint” as Haftar forces launched their push for control of the capital. "There is no military solution. Only intra-Libyan dialogue can solve Libyan problems,” Guterres said in a tweet. The UN chief was in Tripoli to help organise a national conference of reconciliation. “Haftar never had any regard for the UN, he's had a history of pulling off the most brazen acts when the UN is present in town,” said Harchaoui, referring to alleged executions of prisoners in Benghazi that occurred during a previous UN visit. The governments of France, Italy, the United Arab Emirates, UK and US issued a joint statement saying they were “deeply concerned” by fighting near Gharyan, south of the capital. Nevertheless France, Egypt, Jordan, Saudi Arabia and the UAE have provided tacit support for Haftar during several years of fighting, according to expert Harchaoui. “If there's a crisis there, whether it is migrants, or energy disruptions, or Jihadi attacks, they're not affected, and that explains a lot of their attitude,” he added.